Sometimes picking the right gift can be such a big deal. We all have at least one friend that we are clueless when it comes to gifts. But, there is a solution to that as well, especially if you like DIY projects. In this case, one of the things that you can prepare as gift are the bath salts. These tiny pieces that lead us to beautiful relaxation and have the most amazing scents, are surely going to be liked by everyone. So, when it doubt, don’t hesitate to follow few instructions and with a bow or two, make a wonderful DIY mason jar gift for your close one. The amazing vanilla scent can be found everywhere: in cakes, in perfumes, in candles, and in this case, in bath salts. So, if you or your close one like the vanilla scent, then go ahead for this one. Plus, the bath salts also have some rose petals as well. You only need need one cup of Epsom salt, petals from one rose and a couple of drops of vanilla fragrance oil. Just put everything together in a food processor for a few minutes and done! 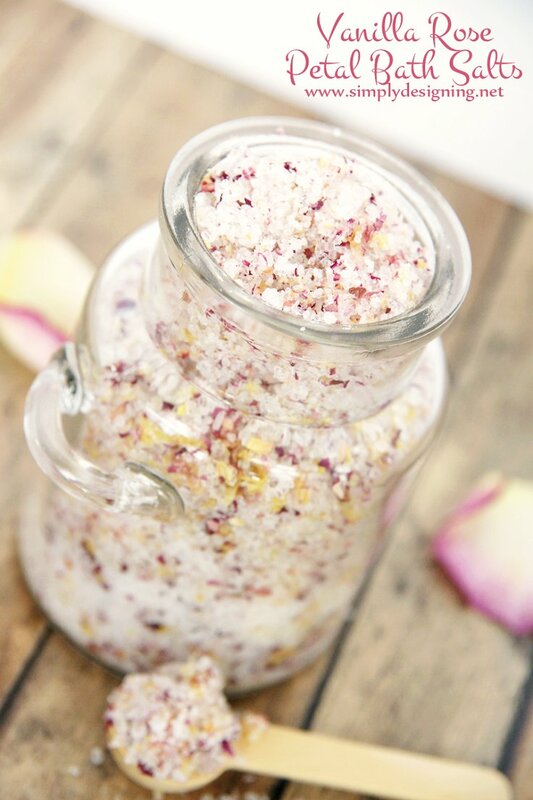 You can mix petals with different colors, which will make your bath salts colorful. 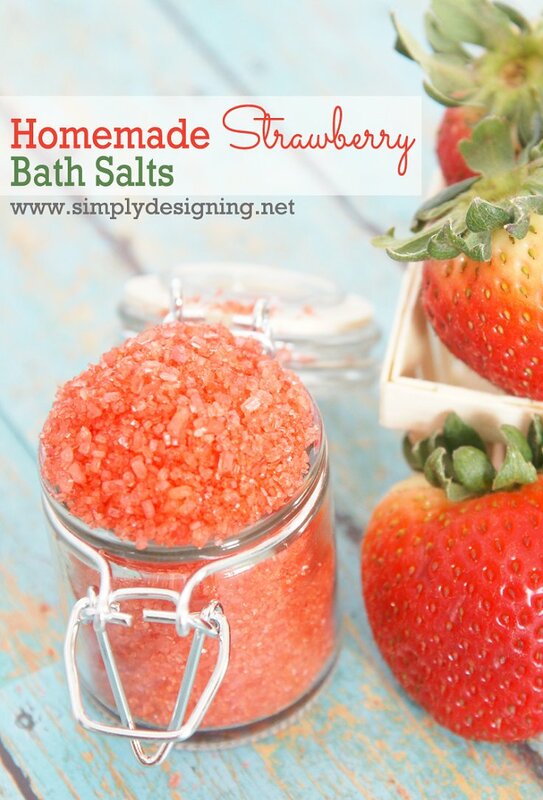 Every strawberry fan would love to try these bath salts. What’s better than having a warm bath with an amazingscent that remind us of summer? Cold, rainy days won’t feel so bad with such bath. In order to prepare them, you need Epsom salt, strawberry fragrance oil and red food coloring, which is optional. 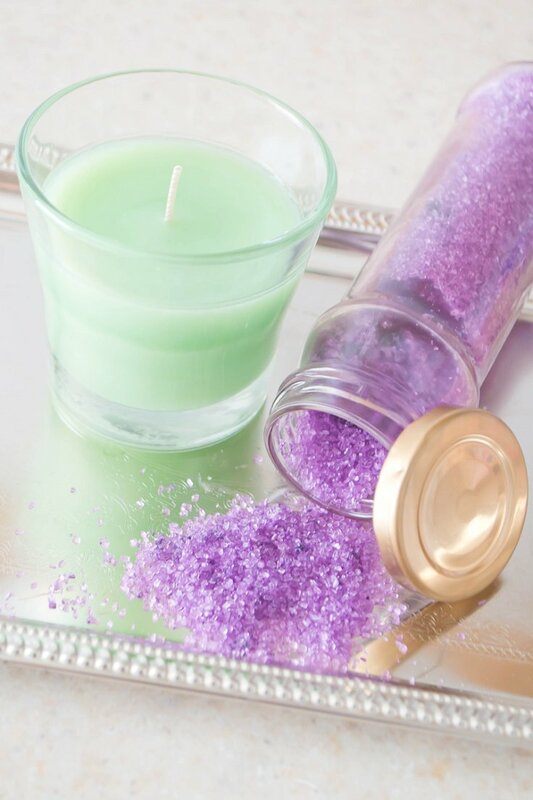 Place the bath salts into a jar and carefully add the scent, as few drops are enough for one jar. After this, your gift is almost ready. Just decorate it a little and you are all done. Pumpkins are one of the things that really remind of Autumn. No wonder that with Autumn at the moment, everything seems to be about pumpkin. Food, decorations, so why not bath salts as well? 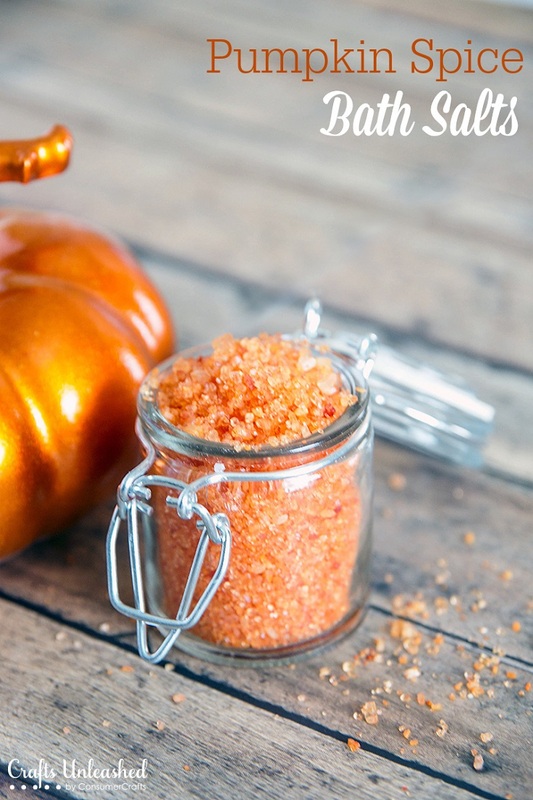 For this one, you needpumpkin spice fragrance oil, salts and to get the orange food coloring, you’ll need to mix few drops of red and yellow food coloring. With a gift like this one, everyone whose birthday is during this warm – coloured season, is definitely going to approve the gift! These bath salts don’t contain any food coloring, but that doesn’t make them anything less than the others on the list. You need sea salt, Epsom salt, lavender essential oil, peace & calming essential oil and peppermint essential oil. Just combine one cup of sea salt with one cup of Epsom salt, 1/2 teaspoon of lavender and peace & calming essential oil, while from the peppermint one you need four. Combine all of them and mix thoroughly. 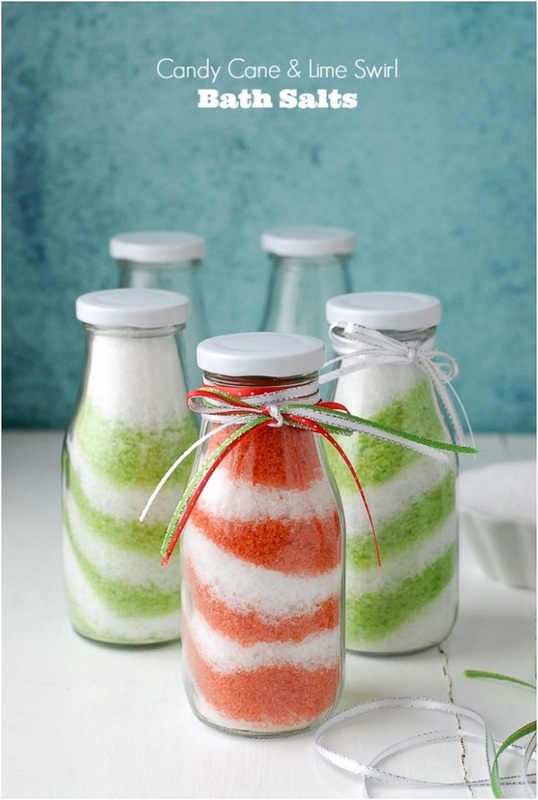 Aren’t these bath salts looking oh so good that you simply can not resist them? If yes, here’s what you need to do. For the Candy Cane, make sure you buy the appropriate food coloring, mostly the color red. For the Lime Swirl you need yellow and green food coloring. Besides that, you need two cups of Epsom salt, two cups of sea sea salt, and all natural peppermint essential oil for the Candy Cane, while for the Lime Swirl you need all natural lime essential oil. And a mason jar for each bath salts type! 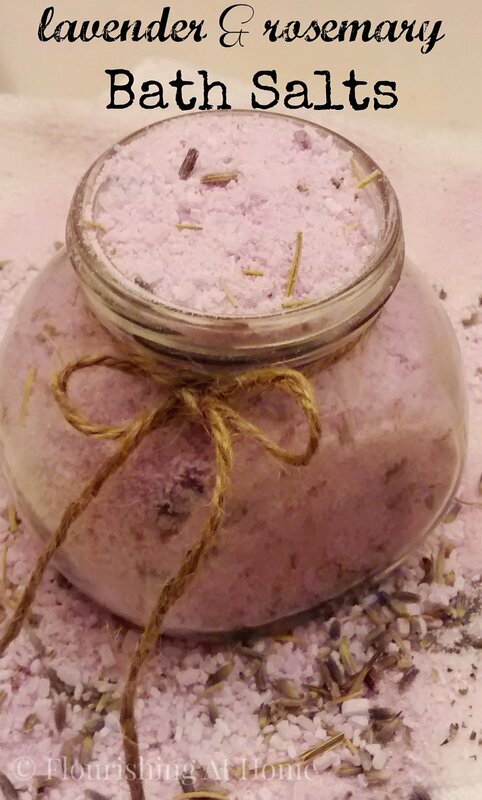 Lavender is famous for the relaxing and anti – stress properties that it has, so including it in your bath salts can be one of the best things you can do to for relieving stress. 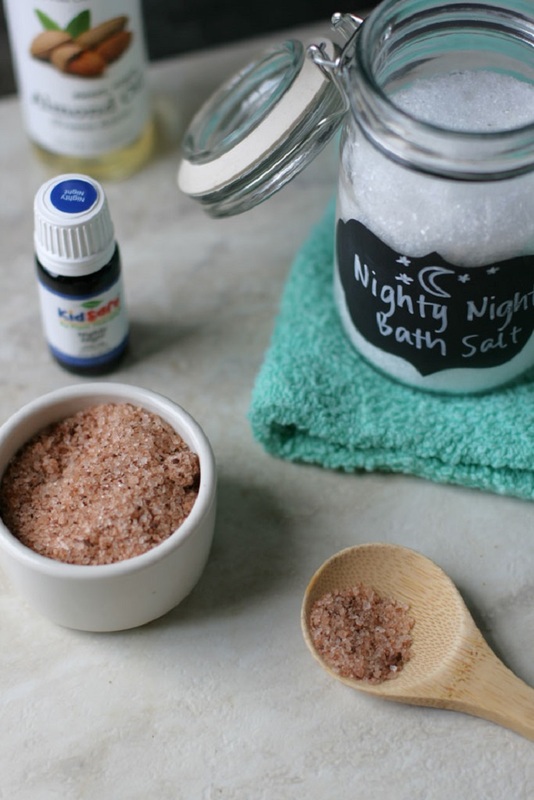 Like the others on the list, these bath salts also include Epsom salts, an essential oil (lavender in this case), red and blue food coloring and a glass jar with lid. If you want to make your bath more relaxing experience, you can even light few candles with your favorite scent. Enjoy! If you really like lavender, then trying the bath salts that include rosemary as well can really be your thing. Again, this as well means using Epsom and sea salt. These two aren’t used for nothing. They really have their benefits. For example, the Epsom salt eases the stress and relaxes the body, while the sea salt calms the nerves and slows skin aging. For the lavender rosemary bath salts, you also need baking soda, dried lavender flowers, driedrosemary sprigs, lavender essential oil, and food coloring. 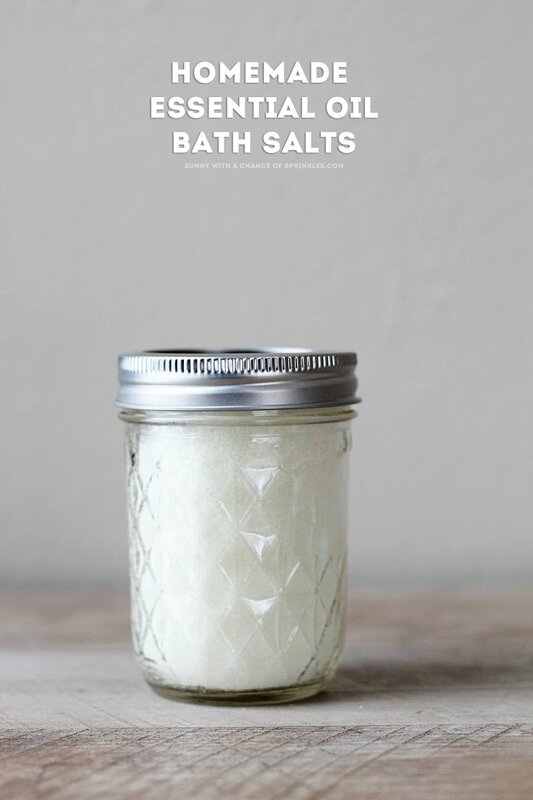 For these bath salts you only need two ingredients: Epsom salt and lemon essential oil. It means, not spending much money and still having something wonderful to present as gift. Living in such a dynamic world really requires some relaxing session only for ourselves. And, what’s better than relaxing with a warm, scented bath? Yes, it’s one of the few things that do magic on our nerves and mood! 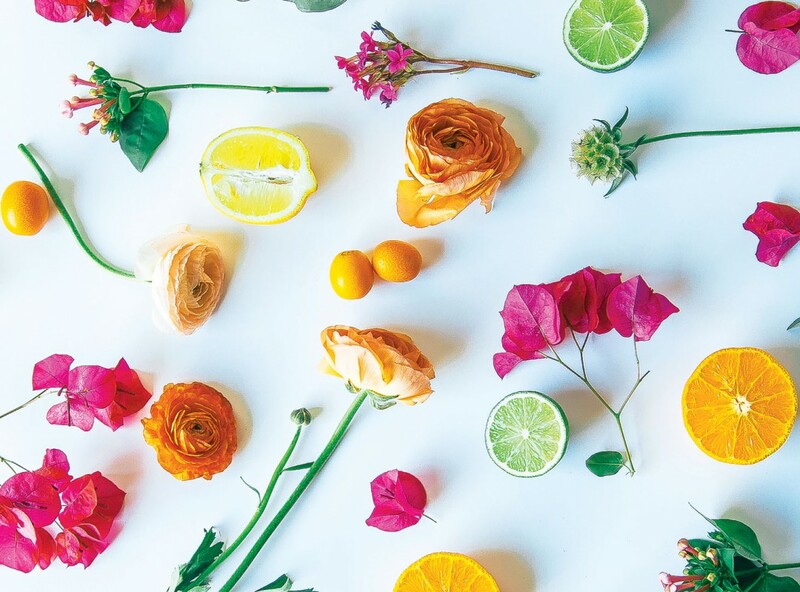 Are you having roses at home who are about to lose their beauty? Then, don’t throw them away! 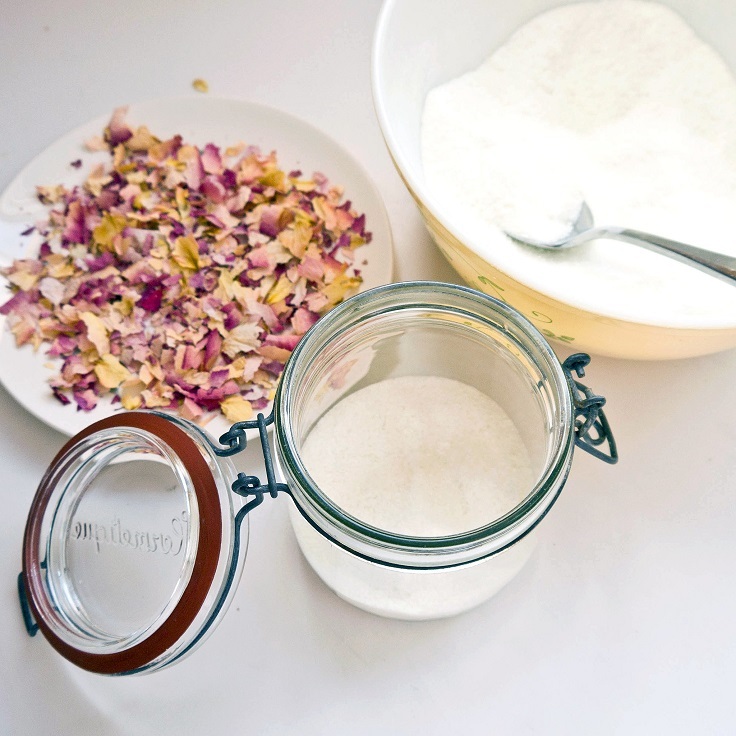 What you can do with the lovely gentle petals are bath salts. That means, you need one cup of dried rose petals, rose water or rose essential oil, Epsom salt, baking soda and powdered milk. When you’ll put the bath salts in a cute, little mason jarand decorate it with a bow or ribbon, who can say “no” to such gift? You had a busy day, you’re tired and all you want to do is to relax. 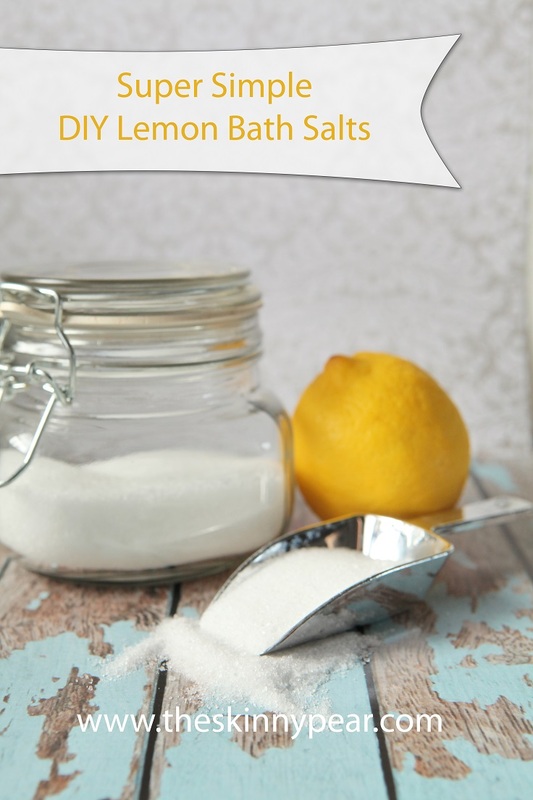 Reading a book won’t do, neither will watching your favorite TV show, so in case you want something else that will do the trick, try these bath salts! Making them yourself is too easy, and fun! In the end of the day, you can take a long, warm bath with amazing scent and if you play your favorite music in the background, relaxing time with bath salts might be your new favorite thing to do.